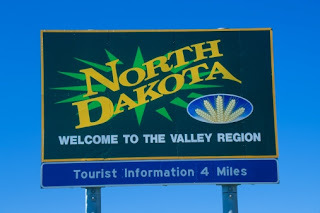 North Dakota Preps • View topic - Best Players From Each School? Re: Best Players From Each School? Cando-Dave Osborn, Played for UND and then went on to play several years for the Minnesota Vikings. Also Rob Laturnus, played at Colorado State and was going to NFL until he hurt his neck halfway through his senior year and was forced to quit. Bishop Ryan: Jared Essler. went to NDSU and had a good career at safety. Also was a very good quarterback in the veer in high school. Notorious wrote: I'd say it is fair to include him. Nice work Tiger Pride. Which archives did you have to peruse to find pull that one? No doubt in my mind Kyle Steffes from Trinity might just be the best football player in the past 2 decades he ran for 6 touchdowns for the State Title and he didn't even hardly play the 2nd half becuase it was such a blowout. He still holds the record for most touchdowns in a single game and in a state chamionship game. Steffes wasn't even the best running back on his team in the Mon-DAK game, or in college. Aaron Wald was a better back in the mon-dak, and Ty Roehl was the better college back. Just because he blew up some 9th grader from a town of 100 for 6 TD's doesn't mean he's the best. i_see_it_all wrote: Steffes wasn't even the best running back on his team in the Mon-DAK game, or in college. Aaron Wald was a better back in the mon-dak, and Ty Roehl was the better college back. Just because he blew up some 9th grader from a town of 100 for 6 TD's doesn't mean he's the best. You apparently don't see too clearly. The topic is Best Players from each school. Did Wald and Roehl go to the same school as Steffes? Or are you just chiming in with some of your "hate on everybody" wisdom like you do in every topic you comment on? And scoring six touchdowns against Hazen is hardly a "9th grader from a town of 100". There was a kid out of Williston in the late 1970s. His name was Gully Gullickson. He had I think around 93 perfect long snaps in a row spanning a few seasons. In addition to long snapping he also was the place kicker. His senior year he was 11 for 14 on field goals over 40 yards and 23 of 24 on field goals 30-39 yards. His long snap streak was broken mid season his senior year when the Coyotes were attempting a game tying FG. He ended up picking up the loose ball and taking it in for the game winning TD. I wish I had that game tape. If anyone has it let me know. The game was vs. Bismarck High on Sept 22 or 23, 1978 at BHS.